At long last, Nadeo made an epic announcement today about a release date for TrackMania 2: Valley; and it is soon! 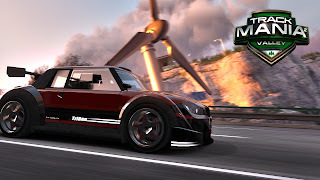 The same endless replay value all of Valley's predecessors, including TrackMania United/Nations Forever. I don't know if any players have already had their hands on it in a closed alpha or beta, but if they have, we can also expect to have some custom player maps already available on Mania Exchange! I'm still trying to track down what the price will be, but for now I will anticipate $19.99, like Canyon. I'm also trying to find out if we can purchase before 04 July, so stay tuned. Enjoy the original official announcement trailer below! Then have fun BBQing and taking a nice drive through the Valley on the 4th of July! 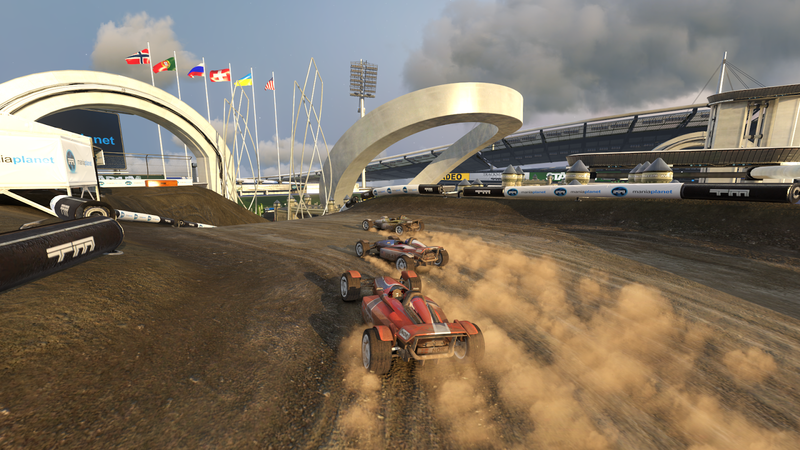 TrackMania 2: Valley will be available on Steam and TrackMania.com and is published by Ubisoft. 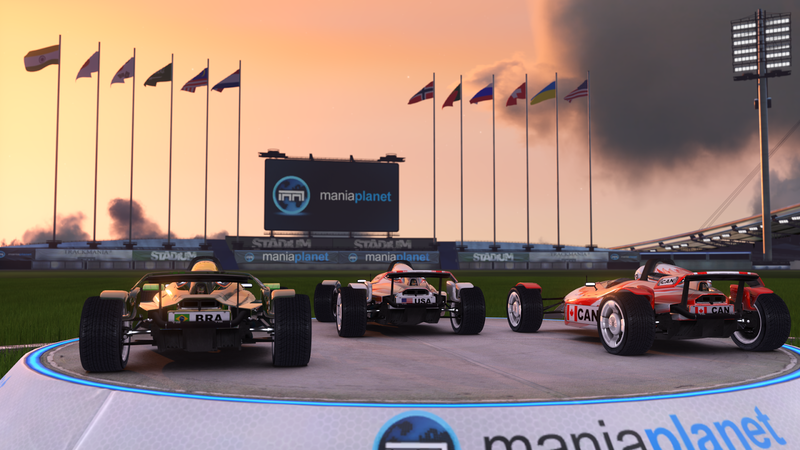 TrackMania 2 United Next Month?! Whatever it is, it doesn't look like it's coming straight from Nadeo. I'm excited to see what July brings! 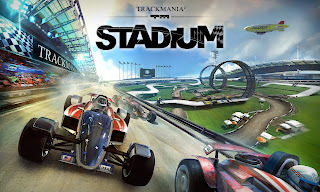 TrackMania 2 Stadium Launches Today! today at 9:00am Pacific Time! Join us on the Team FNG - Stadium: Time Attack server! 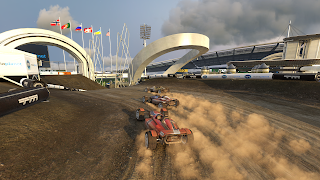 Enjoy the TrackMania 2 Stadium launch trailer! The insane fun Stadium TrackMania environment that has entertained over 12 million PC gamers since 2006 in TrackMania Nations ESWC and Nations/United Forever has been given new life as the newest title in the ManiaPlanet universe, and second title in the TrackMania 2 franchise. Nadeo has done an incredible job making Stadium as close to the original as possible in the newer, shinier graphics engine. The game even lets us port our old classic favorites from the original Nations/United Forever, so there are already hundreds of thousands of tracks available for everyone to enjoy. 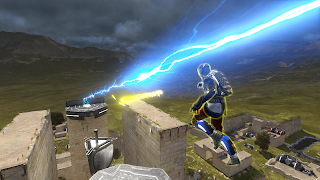 The game has been in Open Beta for a few months and has been really fun to play. New blocks have been added to the environment since its original days, so we can expect a new level of fun maps to play. Speaking of which, the game comes with a brand new single player campaign of 65 new maps. ... and at the nice price point of $9.99 it will provide you with countless hours of entertainment without breaking the budget. The price drops to as low as $7.20 per license if you buy multi-license packs from either of the above locations. 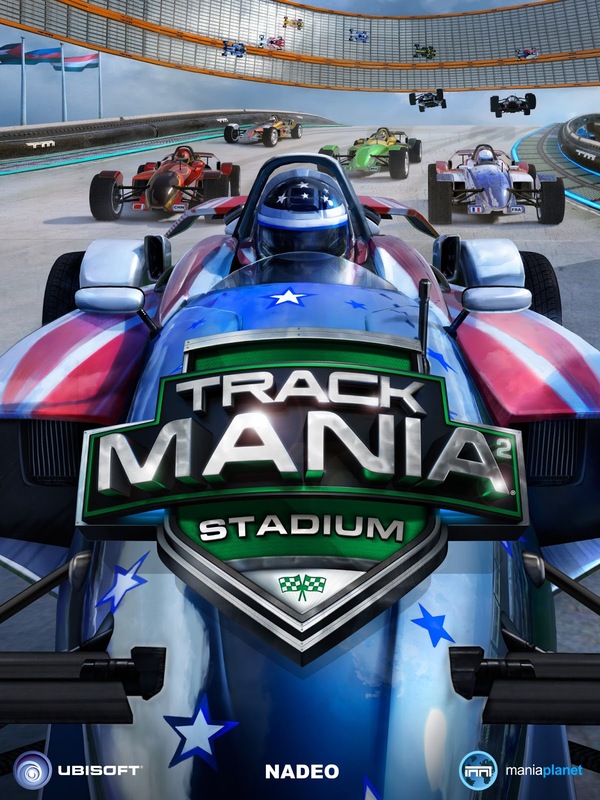 The Friday Night Gamers discovered TrackMania Nations ESWC, the original Stadium environment, back in 2006 when it was released to help promote the Electronic Sports World Cup. We had just purchased MX vs ATV Unleashed and Age of Empires III just weeks before, but they both took the shelf as we experienced the epic awesome that is TrackMania. For those new to the TrackMania scene, let me explain. It's just you against the track; the competition comes as you vie for the fastest time against the other competitors. The servers can hold a LOT more people at a lot less bandwidth because there is less data to worry about to account for collisions. Who needs player collisions when you can do this?! And who doesn't love the idea of driving a car on a wall, through a corkscrew, taking some sik air off a huge jump, barrel rolling off short launch ramps and more? 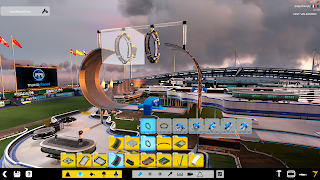 Nadeo has developed some wonderful creative tools for those that like to build tracks, including a 3D-object importer so you can add your own scenery, etc. All ManiaPlanet games include a full blown map editor, as well as a full-blown replay editor for those times when you have a really great run and want to show it off to the rest of your friends. 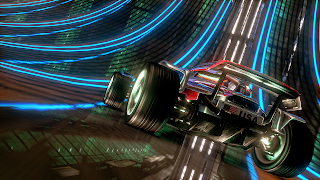 Don't delay... if you haven't experienced the world of TrackMania, there is no better time than the present. Pick up your copy today; and feel free to snag a multi-pack for cheaper and get your friends in the game too! 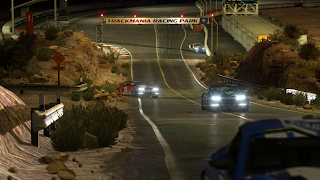 Grab them all and head over to the "Team FNG - Stadium: Time Attack" server to play with us in the World | North America | United States of America | Utah zone. And get hyped! 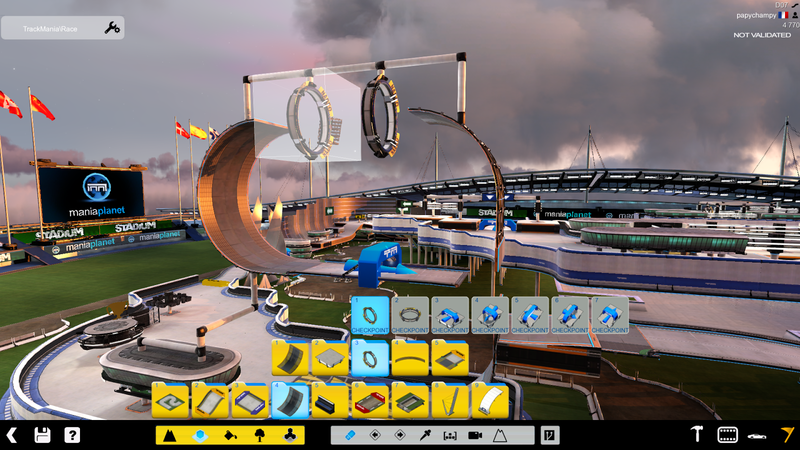 Now that Stadium is out, I hope it means that TrackMania 2 Valley will be going into Open Beta soon! The more TrackMania the better! See you at the races! After unveiling the Xbox One in May, Microsoft announced some lame DRM policies that are like unto the ones that have driven PC gamers nuts for quite some time now..
Sony answered at E3 by announcing they will NOT require a constant internet connection or periodic authentication and does NOT restrict used games. IGN annoucned today that Microsoft reversed their Xbox One DRM policies. Did Sony's announcement have anything to do with today's announcement? Probably so, but it doesn't matter... as long as they're listening to the industry and the consumers. I have yet to see hard data that proves that DRM has ever worked for a company by turning a new profit... the games still get pirated (I think the crackers and hackers out there find it an even more fun challenge to break the DRM.) The paying customers are always the ones hurt by it, and it's a waste of the game company's hard-earned money to write the crappy DRM software, then support and maintain it, then support and maintain the countless paying customers that can't play their game because they can't get past the DRM. But oh yeah, the pirates still play for free and still steal your games. Since you can't get around it, don't punish the paying customers; because they'll stop paying. Pirates who want to steal your games have no intention to pay for your game. If they did, they would.. And even if you figured out the ultimate system to stop them from stealing it; they will just move on to something else they can play without paying for... they're not going to magically change their mind and go pay for your game. So, I'm glad Sony and Microsoft are "getting it" -- and I REALLY REALLY hope PC game producers/publishers will start "getting it" too. Drop the failing mindset that DRM works and direct your resources to making great quality content worth buying. Kudos to Sony and Microsoft for keeping some fun in gaming. NOTE: I'm not an advocate of piracy... in fact, those who know me realize it's quite the opposite. However, I've worked for companies where I've had to build DRM and maintain it, and most of the defects in our products are either because of it, or directly tied to it. Not being required to develop it or maintain it frees precious developer resources to focusing on adding quality content to your games which will keep the paying clientele coming back for more. 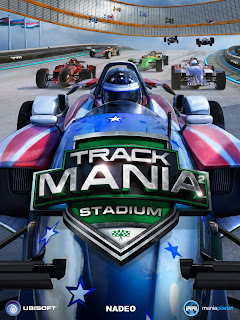 TrackMania 2 Canyon and ShootMania on Sale Today Only! To celebrate E3, (even though we were incredibly disappointed to not have a TrackMania 2 Valley reveal), Nadeo and Ubisoft have marked down their TrackMania 2: Canyon and ShootMania: Storm titles. If you don't already own them, Team FNG highly recommends them. We enjoy them on a weekly (sometimes daily) basis... they have endless replay value thanks to simple enjoyable gameplay coupled with a never-ending supply of user-created content. While you're at it, don't forget to get into the Open Beta of TrackMania 2: Stadium! 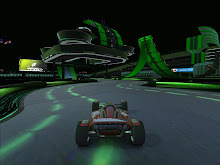 Since 2006, I've been racing I-6, among many other awesome TrackMania Nations tracks created by Nadeo. The clever quotient on this one is through-the-roof, since the goal of it is to barrel roll your car off a small a launch ramp at the end of a long runway with a couple of big turbo sections, land it smoothly on the side of a wallride, let it carry you around the curve and come down smooth to the finish gate. The problem is, the wallride is quite tall and if you don't land just right from your roll you won't have enough momentum to stay high enough on the wallride to make the entry to the finish. Should you fall short or too low on the wall, there is a "forgiveness path" with lots of short and curvy corners to it that take a lot longer to climb to the finish gate than the smooth ride along the top. Again, I've been playing this since 2006... and have spent many an hour with the Friday Night Gamers trying to conquer this track. In that 7 years, I've only finished the ideal way probably 5 times. 5 times. In 7 years. So mark me when I say, these are the moments when I remember why I love this game so much... the thrill of the win is nothing short of epic. And this time I have proof. Enjoy. One of the most exciting announcements of E3 happened today by EA Games and DICE. The return of Mirror's Edge. A sequel in early development we will see us returning to the awesome parkour action the original Mirror's Edge brought us. Enjoy the teaser... and get ready for a long wait. It's coming... "when it's ready". I'm sure it will be worth the wait.